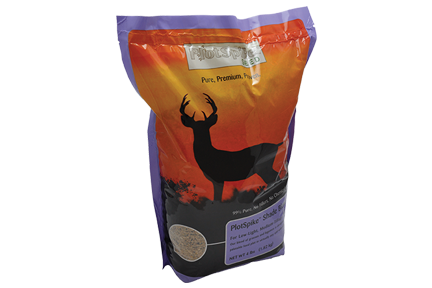 Here at PlotSpike®, we get hundreds of inquiries every year from hunters who ask about seed that works in shady food plots. Which is precisely why we now offer a product made to work perfectly for them. This complex blend of Poa Trivialis, hard fescue, Winfred forage turnip, Ladino clover and plantain contains no fillers or chemical coatings. It requires only 4 hours of sunlight a day to survive and thrive. Plus, it can be planted with minimum tillage. It’s the solution for plots along field roads or in small clearings deep in the woods. When planting, remove any leaves on the ground in the food-plot area, sow the plot, and then barely cover the seed. If it is very shady, the seed may be slow to establish and may not be as tall as plots planted in the sun. Four pounds of this mix will plant ¼ acre.